It’s quite rare in life that the things we actually like, enjoy and take pleasure in are quite beneficial for us and serve us well. This fact is why I hold smoothies in such high esteem! I love how good they taste while knowing they’re also good for me! But as with all good things in life, it does have its drawbacks…cost. It costs you a pretty dollar when you buy one from specialty shops, bodegas, etc. For this reason they’ve unfortunately become a guilty pleasure for me. Today I woke up and decided that I needed to have a smoothie. The only drawback is I wasn’t trying to spend five dollars to get one from Dunkin’ Donuts, the only place near my apartment selling them. I wasn’t going to dare attempt to buy one in the city…I’d then be spending even more money and it would probably make me late to work. I realized I had two options…go without or make one myself. I’ve never made a smoothie before. It’s always seemed a bit complicated, semi-expensive and above all, messy. Complicated because you have to get the right combination of fruits to make it taste like something…and even then, you have to make sure the fruits are ready to be eaten-if they’re not ripe enough (or too ripe) your smoothie’s going to be garbage. Expensive because you have to have a nice assortment of fruit to not wind up with a basic-tasting fruit slushy. Messy because fruit is juicy, mushy and doesn’t always hold it’s shape well…I’d have to cut, dice, measure, etc. But alas, I found myself in a grocery store trying to figure out how I was going to get this done. I skipped fresh produce all together and headed straight for frozen foods and picked up a bag of frozen assorted berries. Next I headed to the dairy section and found a quart of probiotic vanilla yogurt on sale 2/$4. With a price like that I picked up another quart of banana yogurt and went back to grab a bag of frozen assorted strawberries. 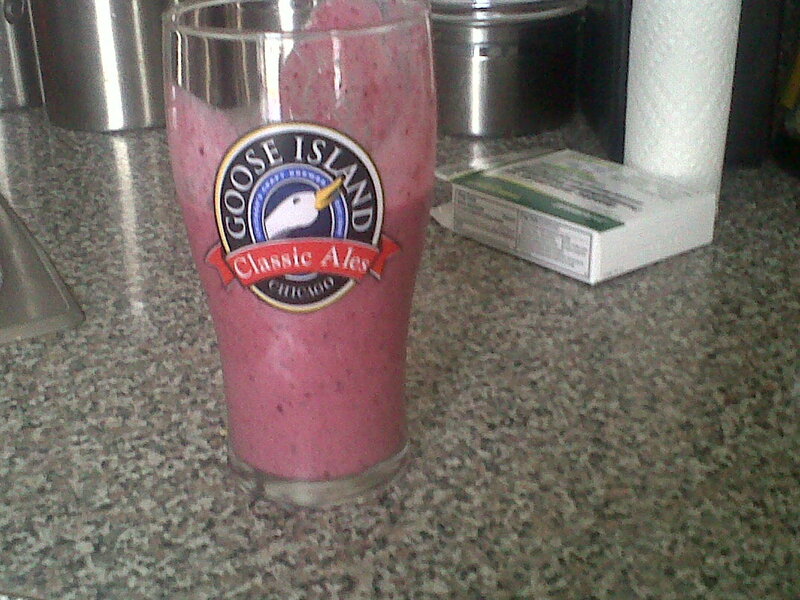 Once home I decided I’d attempt a basic berry smoothie. I threw a dollop of vanilla yogurt in the blender with roughly one cup of the frozen berries and turned that sucker on. As far as complication, there was none. I went with the flow, added what seemed like even proportions to get the consistency I wanted and it turned out well. Regarding cost, I spent less than $10 on the supplies to make myself at least 6+ smoothies (assuming each bag of frozen fruit will yield at least 3). Mess? There was none. As soon as I poured my smoothie into my glass, I added hot, soapy water into the blender, turned it back on, then rinsed. Clean-up took roughly 30 seconds. Now I feel incredibly wack for waiting until the eve of my 26th birthday before I attempted my first smoothie ever. Has it really always been this easy? « Contrary To Popular (Male) Belief, Sharing IS Caring!